Upgrade version must be purchased from CraftEdge.com - Click Here to buy it now! Important: * Sure Cuts a Lot cannot directly cut with the Cricut Explore or Brother ScanNCut. 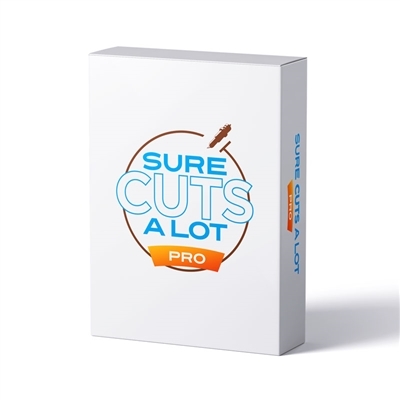 You can only use Sure Cuts A Lot to create your design and then export as a compatible file format to use in Cricut Design Space or a USB drive for the Brother ScanNCut. * Print & Cut for supported Craft machine models. Additional Print & Cut support for other supported models are in the Pro version.